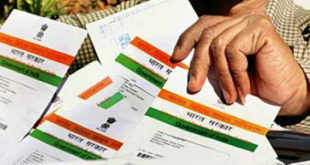 Home / India / Govt Documents / Aadhaar Card / How to cancel Online Appointment for Aadhaar Card ? You might be looking to cancel Online Appointment for Aadhaar Card. Don’t worry in this article we will tell you how to cancel appointment for Aadhaar Enrolment online? 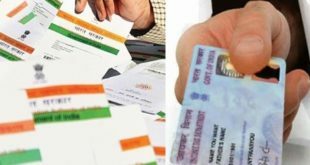 In our previous articles we have already discussed about the steps to fix online appointment for aadhaar enrolment and how to reschedule Online Appointment for Aadhaar Card. First of all you need to visit the Aadhaar Appointment Cancellation Page. Click on Cancel Appointment to reschedule your aadhaar card enrolment appointment. As soon as you click on Cancel Appointment, your Aadhaar Enrolment will be cancelled. You will also be notified about the same via SMS indicating that the appointment made under that specific token id has been cancelled. In future, at any point of time you can again plan to book an appointment online and can apply for aadhaar card enrolment. We wish this service gets implemented for all the states in India soon. How to link Aadhaar Card to ICICI Bank Account ? How to link Aadhaar Card to Axis Bank Account ?